Beet, Marigold, Carrot, Celery, Swiss Chard, Corn, Cucumber, Peas, Potatoes, Strawberry, Radish and Cabbage. Plant seeds 2 inches deep and 6 inches apart in late spring, after the last frost has passed and the soil is warm. Make additional sowings until midsummer. 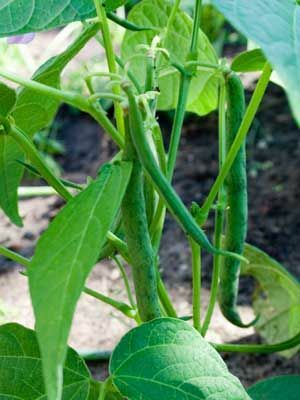 Bush beans are among the easiest vegetables to grow; highly recommended for first-time gardeners. Also can be used as a warm-weather cover crop to boost soil nitrogen levels. Gather pods before they fill with seeds. When picked often, many varieties continue to produce for up to a month. Japanese beetles and Mexican bean beetles sometimes damage leaves and pods. Gather them in broad containers of soapy water in the cool of the morning.